High Density Cartridge Heater is a tube-shaped heating element that is used in different applications for the purpose of attaining the heating level to a specific watt density. Sunrise Products is one of the well-known High Density Cartridge Heater Manufacturers in Delhi. We have a spacious manufacturing facility loaded with the new ages tools and technology and rich raw components that help us manufacture industry’s best solutions. These heaters are suited for digital temperature control system and offer minimal capital cost. Its low maintenance cost, optimum performance, and all the other features make it an ideal choice for its users. High Density Cartridge Heater is mainly used in applications, where applications required limited heat. It’s both sides are shut and unified with a welded metal end-plate and the inverse end with a magma seal. 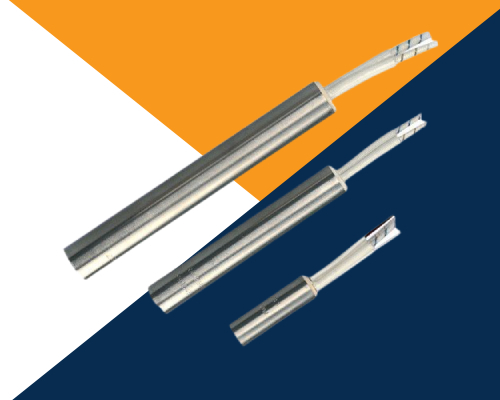 Our skilled guarantee the heaters in a mixed range of alternatives like the assortment of wire leads and internal thermocouples, mounting fittings, etc. Being the most resourceful High Watt Density Cartridge Heaters Suppliers and Exporters, we promise doorstep delivery, after sale support, and competitive market price. If you are confused, which option to invest in, be in touch with our expert team.